An 18-year-old pregnant woman died of dengue fever at the Indira Gandhi Memorial Hospital last night in the second death from the mosquito-borne disease this year. The woman died after going into shock around 2:20am, IGMH media official Zeenath Ali Habeeb told Minivan News. The patient was three months pregnant and was admitted on Thursday with a high fever, she said. The hospital declined to provide personal information, but local media has identified the deceased as Hamdha Hassan, from Noonu Maalhendhoo. A migrant worker had also died of dengue in Gaaf Alif Kooddoo last week as the Health Protection Agency (HPA) warned of the rapid spread of dengue across the Maldives. Speaking at a press conference on Thursday, health minister Iruthisham Adam revealed that 374 cases of dengue has been reported so far this year, of which 125 were reported from Malé. Some 112 cases have been reported in June. The incidence of dengue was “alarming,” she said, and appealed for public cooperation with mosquito control programmes. Dr Ahmed Faisal from the IGMH said most patients admitted at hospitals with dengue were at a dangerous stage and expressed concern with the spread of dengue among migrant workers. 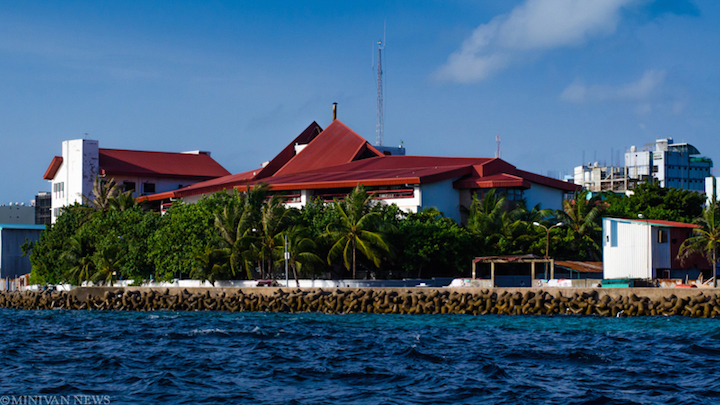 Last year, the health ministry said dengue fever has become endemic in the Maldives since 2004 with annual outbreaks. A relatively severe outbreak of dengue in 2011 saw a record high 12 fatalities. 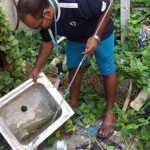 A total of 1,083 dengue cases were reported in the Maldives in 2012. The HPA has previously said that construction workers face an increased risk. Earlier this month, the HPA issued an alert warning of the spread of dengue and viral fever in Malé and the atolls and advised precautionary measures to control mosquito breeding during the rainy season. The agency advised the public to empty stagnant water from containers, throw trash into dustbins, and keep containers sealed to prevent water from accumulating. The HPA also advised wearing clothes that hide the skin, using mosquito repellants, and keeping doors and windows closed during dawn and dusk. The agency has stressed the importance of cleanliness and hygiene to prevent the spread of the disease and advised seeking medical assistance if a fever persists for more than three days. Symptoms of dengue fever include fever, headache, muscle and joint pains, and a characteristic skin rash. Dr Faisal said the worst incidence of dengue has been reported from Alif Alif and Alif Dhaal atolls as well as Baa Thulhaadhoo and Malé. The most dangerous stage of dengue is when the fever subsides after three days, he warned, and advised seeking medical attention if symptoms such as bleeding and fatigue persist. He also advised drinking lots of liquid and resting to recover from the fever and warned against the use of unprescribed strong medicines.